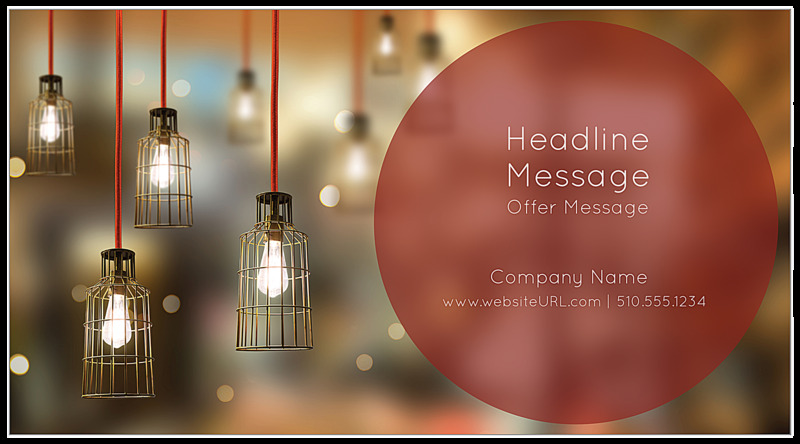 Our Vintage Lights postcard design template puts the spotlight on your direct-mail message! Featuring your custom headline and offer message in a shaded circle against a background photo of vintage hanging cage lights and a touch of bokeh styling, Vintage Lights is an excellent custom postcard printing choice for consultants, interior designers, architects, B2B professionals, hardware retailers and more. Your headline and offer are repeated on the back, along with your company contact details and call to action over your own logo. Personalize Vintage Lights to match your brand with your choice of three color schemes and two different edge finishes (rectangle and rounded rectangle). Print custom postcards with our Vintage Light design template – but first, customize it with our easy-to-use online design tool! 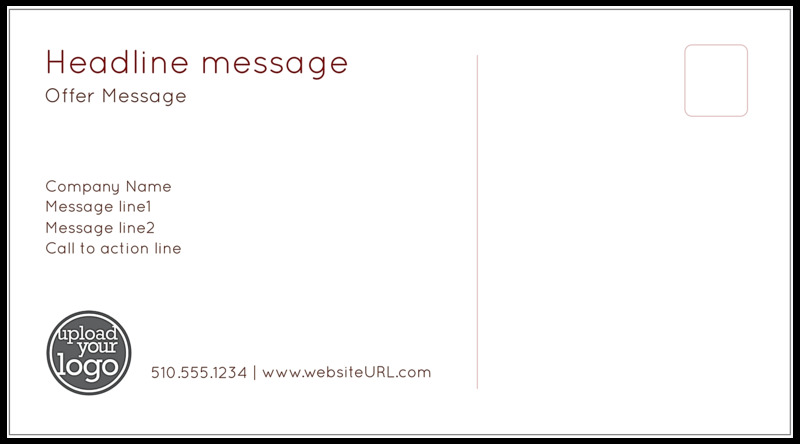 Customize our Vintage Lights postcard design template with our online postcard maker. After you select your template, simply choose your edge shape and colors. Next, follow the prompts to customize your headline, offer message, call to action, and more. It’s so easy! You can even upload your logo and, when you’re done designing, download a free PDF to share with your team before printing postcards. PsPrint’s fast turnaround and reliability improves marketing efficiency and keeps your campaign on-schedule. Our postcards are printed on premium paper stock with high-quality inks that enhance your design and help your message command attention at the mailbox. When you print custom postcards with PsPrint, we guarantee your satisfaction! Make your postcards stand out even more by printing ultra postcards, which are printed on triple-thick paper stock and feature a beautiful band of edge color. Or, print die-cut postcards in any shape imaginable. We also offer custom foil stamps, plus complete postcard printing and mailing services: list generation, addressing, postage, and mailing. PsPrint is your one-stop shop for premium postcard printing!